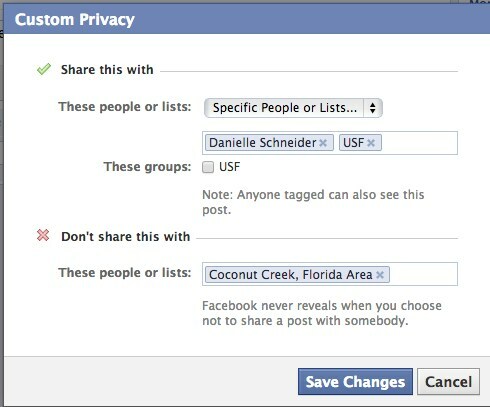 Facebook lets you exclude certain people from seeing Facebook posts, but you’ll need to create a friends list first. 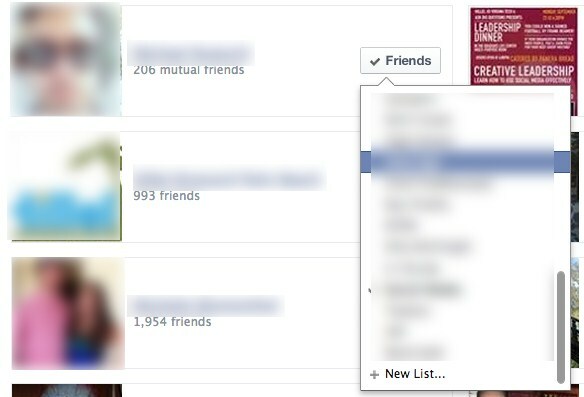 This tutorial will show you how to create friend lists on Facebook so you can do just that. Let’s say you didn’t want it to be public that you despise onions (they don’t like me, if you know what I mean). Facebook allows you to edit who can see every post. Instead of making this post public, I limited it to one person and a friends list. You have the option of telling Facebook which friends you want to see it and which friends you don’t. When you click on the button next to the post button, you’ll have access to the below settings. The first drop down lets you choose specific people or a list. You’ll need to have friends lists setup first before you can utilize this function. 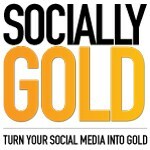 Keep reading to follow the step-by-step process for setting up a Facebook friends lists. step 3 – Click the button next to the friend you want to add to a list. Step 4 – Scroll down and hit “+new list” and type in the name of the list you want to create. Step 5 – Repeat steps 1-4 to add more friends to an existing list or to create a new friends list. There you have it. Now you can curate posts for certain people on Facebook. If you are friendly with co-workers on Facebook, a good use would be to create a co-workers group, so you can exclude them from seeing certain posts. Disclaimer: If there is ever anything that you think is too inappropriate for certain Facebook friends, you may want to reconsider posting it. I use this friends lists function to refrain from annoying certain friends with corny jokes that don’t apply to them, or commentary on onions. Do you use Facebook friend lists? Let us know in the comments.